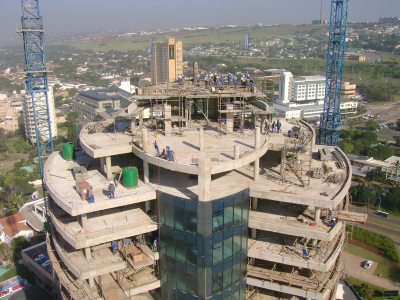 2010 Winner "Pearls of Umhlanga – The Dawn"
The Association’s premier annual gala event ‘The Excellence in Construction Awards’ will take place on Friday at the Sibaya conference venue north of Durban. Master Builders KwaZulu-Natal is again hosting more than 350 guests that include Association members, industry stakeholders, government representatives and members of both the regional and national press. A lot of work goes into the preparations for such an occasion and with regard to my own personal field of expertise, I’m currently working on preparing the web pages. We have a section on our website dedicated to Excellence in Construction and each year we update it to feature the latest recipients. It is our goal and objective to go live with the 2011 sections as early as Saturday morning, so if you aren’t going to be at the event and you are interested in knowing who the winners are, you will find it on masterbuilders.co.za, hot off the press as they say.